So friends, the laid back days are over and so are the easy strategies. Now is the time to do some real brain-storming. From now on, we will learn the advanced options strategies. We will begin with the easier ones and move on to the tough ones over the time. So without further ado, let’s start with our today’s strategy. So you can play both sides in this strategy. If the price of the stock rises, you will earn profits. If the price falls, you will always have the right to exercise your Put. When you are bullish in the stock but want to protect yourself from the steep falls too. We buy 100 shares of XYZ Company at current price. 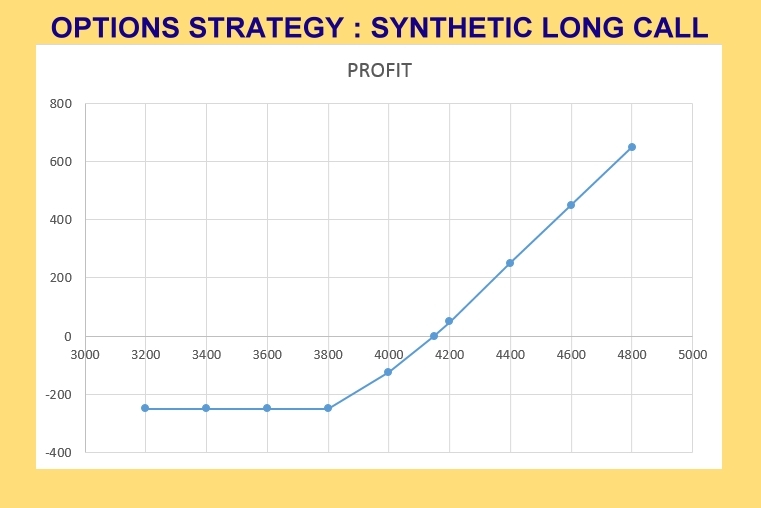 The Analysis of the Strategy : The Long Call strategy limits the risk of the loss to the premium paid by us for a particular call option (Rs. 30 in our case). This is an excellent strategy when you want to buy a particular stock but also want to limit the potential downside risk. 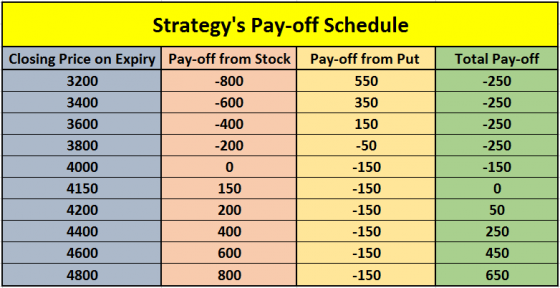 The pay-off resembles a long call strategy and is therefore called as Synthetic Long Call.